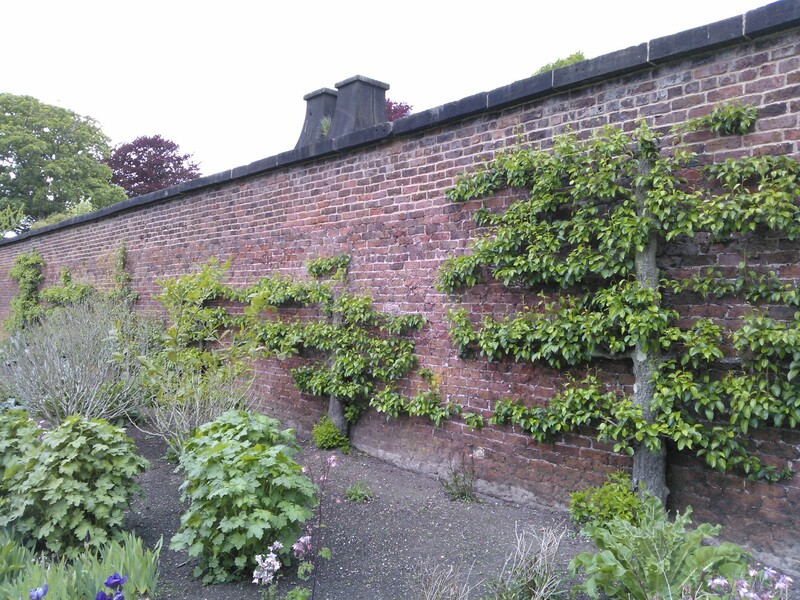 Ok, so not strictly horticultural therapy, but I had to write something about a recent visit to Croxteth Hall Walled Kitchen Garden in Liverpoool. It is not just another walled kitchen garden, and I cannot get enough of these anyway, but a vast and significant Victorian one with many fruit trees over a century old. Many of which are trained in the traditional espalier and cordon styles as well as some inventive shapes and arches. The well preserved glasshouses and heated ripening walls (with their smoking chimneys) are worth the admission fee alone. The garden is run by Liverpool council and costs a very nice £2.50 entry for an adult and I thoroughly recommend a visit. This entry was posted in Garden and tagged england, UK by Richard Brown. Bookmark the permalink.